I have been an immigrant living in Europe for about two years. Because I fled a country where women’s rights are restricted in the name of Islam, I am concerned about Europe’s acceptance of these same restrictions in the name of religious tolerance. I am deeply worried that this attitude will lead to further problems in the future – both in Europe and elsewhere. It’s summer in Europe. Many of my friends here say this is the hottest summer they have experienced. I came from a hot country. Still the temperature was too hot for me. So, I went to a store to buy a fan. After standing in a long queue I finally purchased my fan and left. Also leaving the store with a fan they had just bought was a Muslim family. The man was wearing short pants and a thin white t-shirt. The woman was wearing a burqa, an Islamic dress in which only the face can be seen. All other parts of her body are covered, including the head, and I know there is one more layer of clothes under the burqa. When the man is almost half naked, why is the woman wearing so much? They are not in Syria or another Muslim country. European men and women are wearing shorts and comfortable clothes for the hot weather. Men coming from Muslim countries are wearing the same as Europeans. Then why are Muslim women following an Islamic dress code? I have tried asking some Muslim immigrant women why they wear hijab or burqa, and most say that it’s written in their holy book (Quran 24:31; Quran 33:59), so they must follow that. Some stated it’s their husband’s or brother’s or father’s order. On social media we also see some Muslim women campaigning in favour of the hijab. They say that the hijab is their pride and they wear it by their choice. Having left a Muslim country, I don’t understand what they mean by “choice.” If you ask them why they choose it, they say it is because it’s written in their holy book. So those who obey mandatory religious rules can be called obedient, and those who don’t are called disobedient. What kind of choice is that? Also, there are strict Islamic dress codes for men as well(Quran 24:30), which men do not follow in Europe. Women are not supposed to work in the office because it is forbidden for women to go into the public without one’s husband, father, or brother. Having more than one wife is permitted in Islam (Quran 4:3), and if the wife disobeys her husband’s order, then her husband is allowed to beat her (Quran 4:34). What is important to recognize here is that there are practices accepted in Islamic societies that are punishable crimes in the country in which they currently live. Again, Muslim immigrants do not follow all the rules of their religion or culture; they choose what they wish to follow. When it is so hot, why do Muslim women wear burqas and men shorts? The Swedish government, which claims to have the world’s first “feminist government,” has been criticized by Iranian women’s rights activists, according to the BBC. In February 2017, Swedish Trade Minister Ann Linde and other female members walked before Iranian President Rouhani wearing hijabs, chadors, and long coats, in deference to Iran’s modesty laws that make the hijab compulsory. The Swedish government has defended itself, saying that failing to do so would have broken the Iranian law. EU foreign affairs chief Federica Mogherini also wore a headscarf during a visit to Tehran on April 2016. It’s really shameful. Instead of challenging oppression everywhere, the world’s first “feminist government” followed a law that many Iranian women are putting themselves into danger to fight against. Many women from other Muslim countries like Iran are silently protesting the hijab. According to them, they are not fighting against a piece of cloth; they are fighting for their dignity and their freedom to choose. To them, it is the most visible oppression against women. 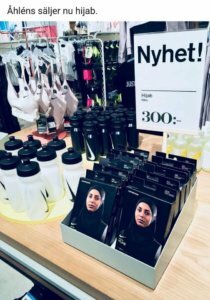 But some European countries like Sweden, Germany, and England, which are famous for their equal society, promote hijab with advertisements on the street that favour a practice which some Muslim women consider to be oppression. But although liberal Europeans seem to show respect to other cultures, there are other religious practices among some Muslims in Europe which contradict European society and anti-discrimination laws. A few days ago, a Swedish friend of mine said that a Muslim immigrant in his town went to a Swedish office but refused to talk to the female officer in charge; he would only to talk to a male employee. The office very humbly accepted the demand of that Muslim man and arranged for male employee for him. I wonder how is this possible, how did they accept it? Would the officer in charge accept the same request if a Swedish man had made it? My friend said this request has been accepted for the Muslim man’s convenience, considering the fact that the person did not have a culture of gender equality in the country he came from and that he is not used to talking to women. But what kind of precedence does this set? What other requests will be made that contradict Swedish norms? Europeans believe in freedom of religion, which means people are free to have religion or not, and they have the right to practice their religion. But in a Muslim family where the girl wears a hijab starting from age 7 – do you think she has the right to choose her beliefs and practices? 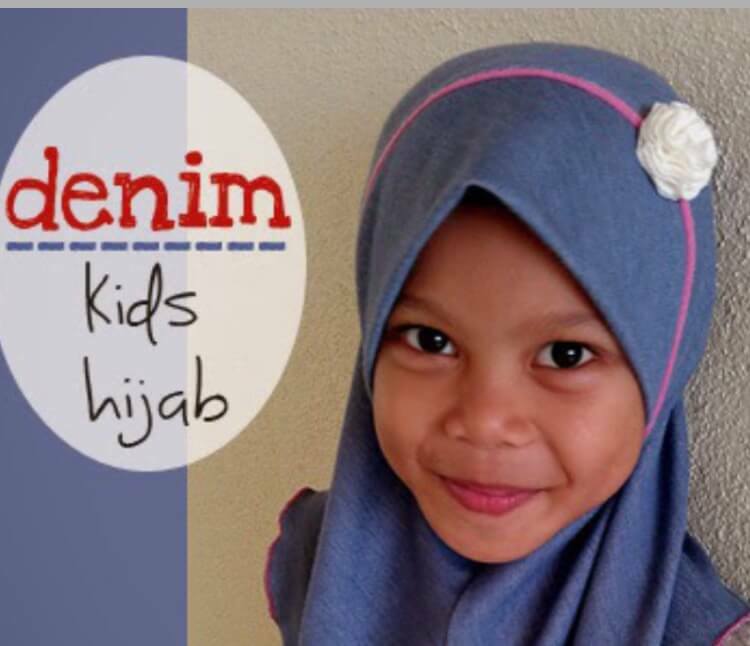 When she grows up in such a context and says it’s her own choice to wear hijab, does that really mean it is her own choice? Or does she not know the meaning of freedom or what it means to live life without any dominating man? Polygamy (Quran 4:3) and wife-beating (Quran 4:34) are also written in the Quran. The right to practice Islam also includes these practices. I had a conversation with a Syrian Muslim man few days back. I told him that I do not cook every day but cook enough food for a few days and store it in the refrigerator. The man said that it was unhealthy to eat food that was not freshly cooked. I replied that I do not want to cook every day and sometimes simply do not have time. He said he eats fresh food every day. When I asked him if he cooks the food himself, he replied, “No, my wife cooks.” I told him that if I had a slave like that I would also prefer fresh food every day! In countries of equal rights, the tasks of cooking, taking care of children, cleaning, and doing other household work are done by both husband and wife. But household work is completely the responsibility of women in many Muslim households in Europe. These women do not have the opportunity to participate in important family decisions, and without the permission of the husband, they do not have the opportunity to have a job. Once today’s civil Europe was also ruled by the Christian church. The rules laid down by the churches were accepted by all, and misogynist laws were also present in these countries. But after struggling for hundreds of years, religion has been separated from the state, and most people are secular ornon-religious. Only a few people go to church, and the churches have also had to eliminate rules that contradict civil law. But in those civilized countries, in the name of religious freedom or respecting other cultures, they are encouraging misogynist rules. They don’t really help Muslims in this way. Europeans are allowing the equal society that they established after a long struggle to be destroyed and go backwards in the name of tolerance and respect. Maybe this time it will be in the name of another religion, but the damage to women will be the same. Ettila Etu is an ICORN guest writer living in Europe.